Buffalo has one of the most beautiful nighttime skylines in America. What it lacks in size and height, it makes up for in dramatically lite towers like the Electric Building and our monumental City Hall. 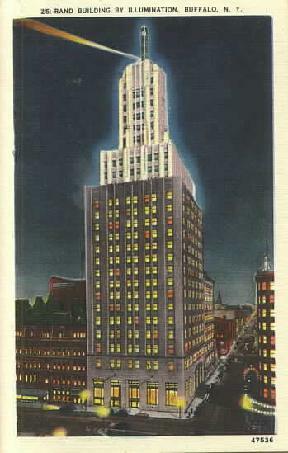 But for one of Buffalo�s oldest skyscrapers, evening is a time for fading away into the night sky with only a red flashing beacon to mark it location. 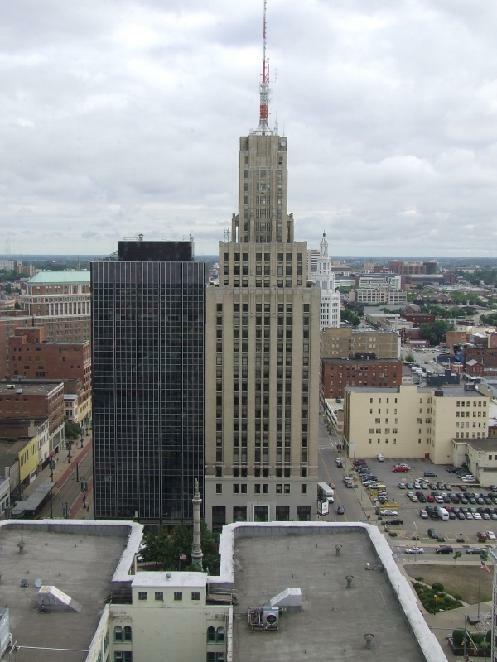 Although it holds a prominent place on the Buffalo skyline, the Rand Building in Lafayette Square has never been welcomed into the hierarchy of the city�s architectural monuments. 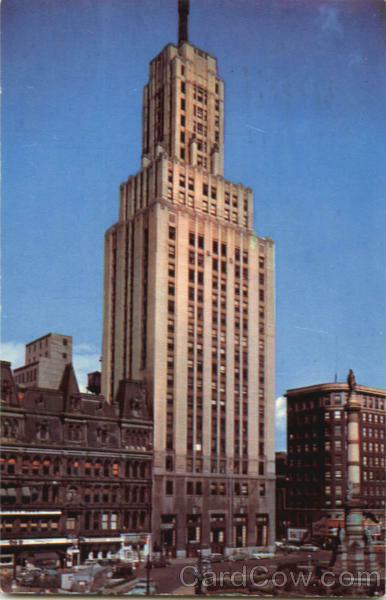 At 29 floors, the Rand was Buffalo�s tallest building when it opened in 1929, an honor it held until the competition of the Marine Midland Building (HSBC Building) in 1972. 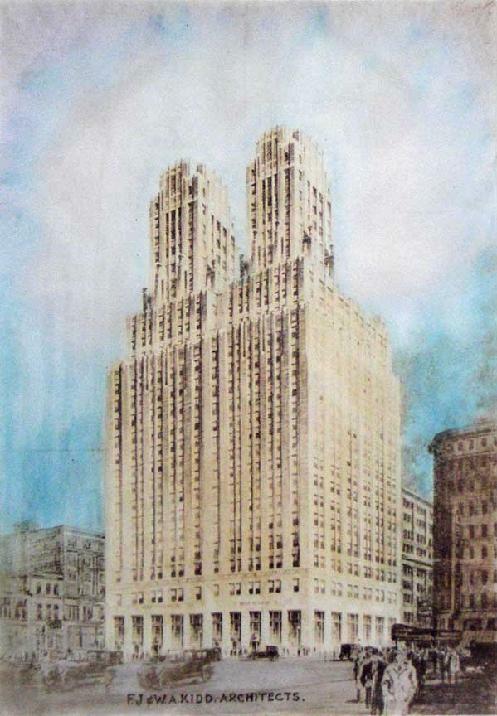 When the building opened, it featured an elaborate lighting system that highlighted its art deco stepped back style. But for most of the last 30 years, the tower has been dark at night. 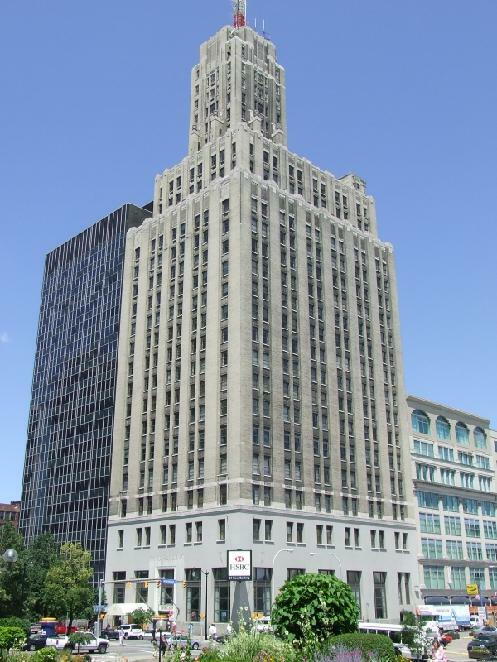 Forgotten Buffalo encourages the Rand Building�s current owner, the Main Seneca Corporation to "Re-Light the Rand!" It�s time that Buffalo welcomes back one of its most distinct mid-20th buildings with an illumination show worth of the "City of Light."